Specialists in building high quality coachworks for commercial and other vehicles, engineering of commercial chassis and bodies, with full up to date repair and respray facilities. How to Contact J.R. Selby. 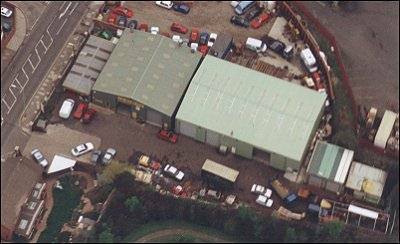 Aerial view of J. R. Selby Ltd. While every effort has been made to ensure that the information given in this website is accurate, neither J.R. Selby Coachworks Ltd. nor the Webmaster can accept any liability for loss or damage resulting therefrom. 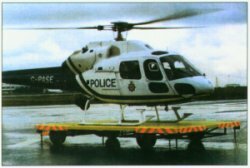 ©2009 (1997). 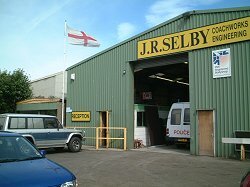 All text, graphics and other information on this website is copyright and is currently the property of J.R. Selby Coachworks Ltd. or the Webmaster and remains as such. Where material the copyright of which is not held by the said parties is used, copyright remains with the copyright holder. You have the right to view this site and images and where applicable copy this page and others from this site with any images to a cache for reference by yourself only at a later time. You are not granted any other rights and copyright holder(s) reserve all other rights.